Park officials said in a brief statement the man who fell over the canyon rim east of Yavapai Geology Museum was identified as 67-year-old Michael Obritsch. Park officials previously said the body was recovered from 400 feet (122 meters) below the rim. One hundred years ago today, Americans celebrated protecting the Grand Canyon as a national park. But for Native Americans, the redrawn boundaries excluded them from ancient hunting grounds and ceremonial places. Many visitors today don’t know that history. KNAU’s Melissa Sevigny reports, an intertribal group wants to use the centennial to craft a new vision for the park’s next 100 years. Scott Johnson, Xanterra South Rim, L.L.C. 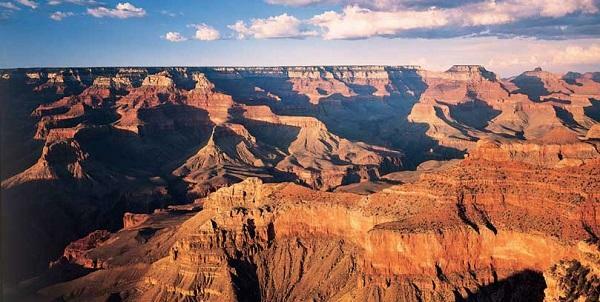 A Los Angeles artist's lawsuit against a Grand Canyon hotel-restaurant that alleges he was negligently served gluten is now in federal court.